For 50 years in various incarnations the Grateful Dead have held forth as America's iconic roots rock, jamming tour band. 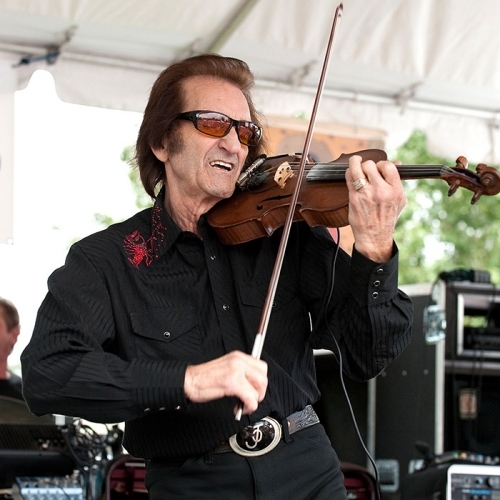 This July 4th, as Dead fans gather for a final series of concerts in Chicago, we revisit a classic American Routes program that featured the musical sources of the Dead in blues, old-time country, folk and jazz. We also reprise an in-depth interview that Nick did as part of an oral history with the late guitarist and bandleader Jerry Garcia at the Smithsonian Institution. Garcia often presented himself as an alternative huckster version of Uncle Sam complete with a stars and stripes top hat. His Americanist vision was grounded in the diversity of traditional music that he loved, electrified and improvised upon. In addition to Jerry and a wide range of music, the Dead Heads also have their say about the nature of a Grateful Dead live show. So come hear "Uncle John's Band!" Join us as we go "Truckin'," and May the Fourth Be With You! 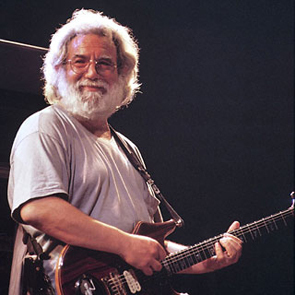 We pay tribute to the late guitarist Jerry Garcia who passed away 9 years ago this month with a historic interview with Garcia from his 1989 visit to the Smithsonian Institution. Roots and branches of the Grateful Dead's sound take center stage in this mid-summer celebration in music and memory. A tribute to the late guitarist Jerry Garcia who passed away 5 years ago this month. Based on an interview with Garcia from his 1989 visit to the Smithsonian Institution. A tribute to the late guitarist Jerry Garcia who passed away 4 years ago this August. Featured is an exclusive interview with Garcia made during his 1989 visit to the Smithsonian Institution. Roots and branches of the Grateful Dead's sound take center stage in this mid-summer celebration in music and memory.